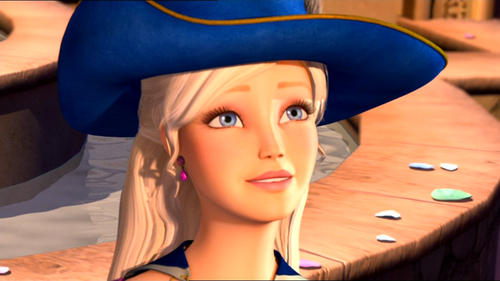 do you like barbie musketeer? Why do you name this club barbie musketeer? Corinne (played by Barbie) is a country girl from Gascony who dreams of being a musketeer in France. She goes to Paris with a letter for Monsieur Treville, the captain of the musketeers and an old friend of her father, hoping to be accepted as a musketeer. I go forward what will ever stop me? Note: The credits should go to Wikipedia.I just added this here to make the spot more active and because I love the movie. a comment was made to the poll: Which scene of Corinne and Louis you like and consider the most romantic one? a comment was made to the poll: Who is your second favorite musketeer? What was Corinne's exact/actual reply to Louis when he invited her to another balloon ride? "Right now, I've got somewhere else to be"
"Right now, I must be somewhere else"
"I will have to go right now"